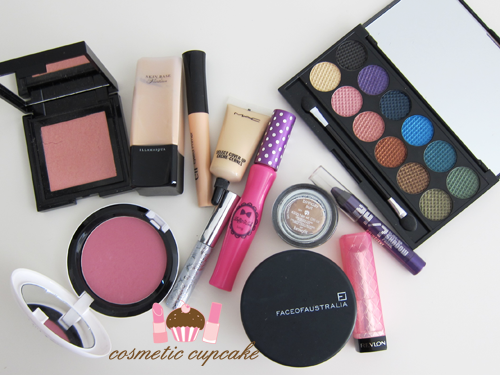 Cosmetic Cupcake: Everyday neutrals with a pop of purple! Everyday neutrals with a pop of purple! This post is sponsored by Nuffnang and Clearasil. When it comes to everyday makeup less is definitely more for me. I never have enough time for a full face so I normally use a tinted moisturiser or a really light coverage foundation and neutral colours as it’s simple to apply and still allows my skin to shine through. I’ve been trialling the new Clearasil PerfectaWash recently which has kept my pesky blemishes at bay. It’s been scientifically developed to dispense just the right balance of active ingredients to help fight those blemishes while still nourishing your skin which has made it easy for me to get away with using only a light coverage base which I love! To feel comfortable with different makeup looks, I think it’s key to start off with a good canvas and for me it’s all about the skin. When I was younger my skin was nowhere near as well maintained and I was super conscious of that fact. Now that I’m older I realise that I should have invested my time in my skin - instead I spent most of the time applying makeup (badly!) to cover up my blemishes. Not only did it look terrible but I never felt confident. The new Clearasil PerfectaWash can help you to create that perfect canvas to achieve that glowing clear skin that we all want. I’m sure you ladies agree that when you’re having a good skin day you just feel SO much more confident! 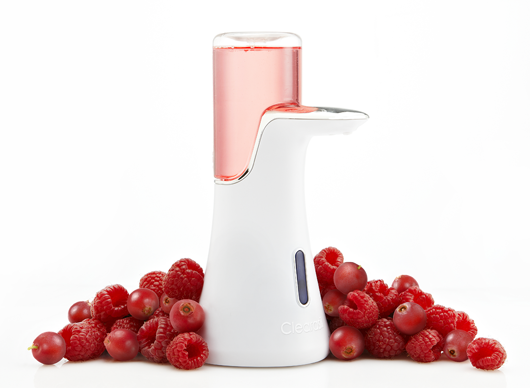 It comes with a unique automated face wash dispenser that delivers exactly 1.5mls of product each time. A recent Clearasil scientific trial showed that 1 in 3 people use too much face wash and I know I’m guilty of that! It comes in two formulas – Super Fruit Extract (which is pictured) not only smells fantastic it contains raspberry and cranberry which are full of antioxidants to help maintain healthy and radiant looking skin; while Soothing Plant Extract contains enough active ingredient to clear breakouts while still being gentle on the skin. Both formulas are dermatologist tested and perfect for all young adult skin types to help get that glowing skin we all want! 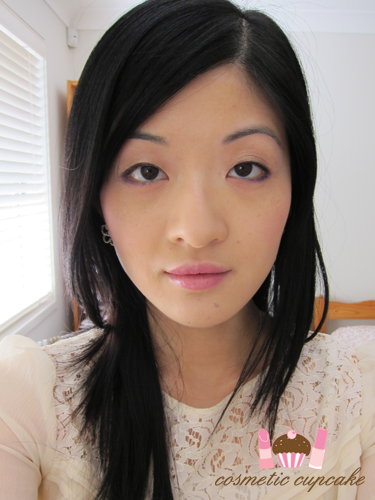 I tend to stick to neutrals for everyday makeup as it’s fail safe and as I’m still not very confident with colour yet! I’ve been trying to mix things up a bit though lately by slowly adding in some colour to my everyday look. To ease myself into it I’ve loved using purple coloured liner for a pop of purple! 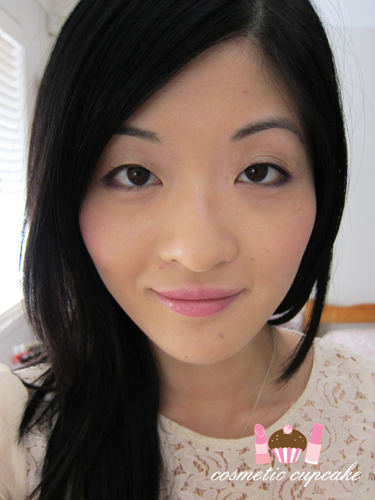 I started off by using Make Up For Ever Face & Body foundation in 20 for a very light coverage base and concealed my blemishes by using MAC Cover-Up concealer in NC20. I set my foundation with Face of Australia Translucent Powder and I highlighted the tops of my cheekbones using Bobbi Brown Shimmer Cheek Glow in Miami. 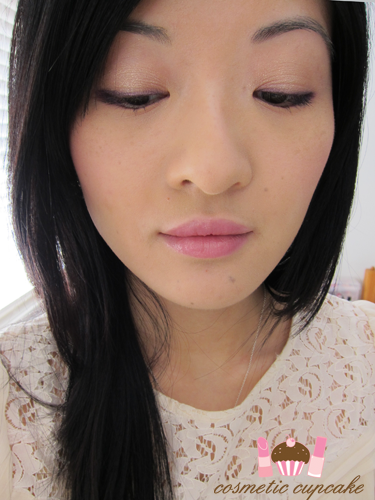 I couldn’t forget blush which is MAC Beauty Powder in Summer Rose. I primed my lids by using Elf Eyelid primer and applied one of my favourite cream shadows Benefit Creaseless Cream shadow in Birthday Suit as a base. I lined my eyes using Urban Decay 24/7 Glide-On shadow pencil in Delinquent and softened it by smudging the gorgeous purple from the The Original Sleek Eyeshadow Palette. I finished it off by curling my lashes and using 2 coats of Dolly Wink Long mascara on my top lashes and a coat of Clinique Bottom Lash mascara on my bottom lashes. 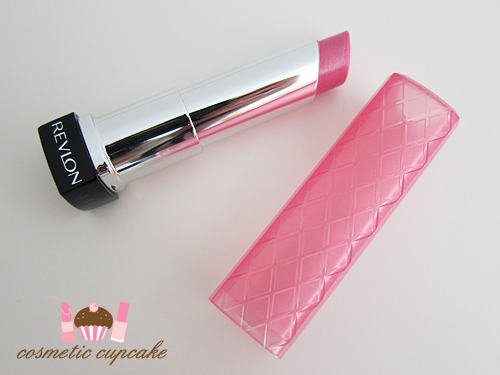 I moisturised my lips and applied Revlon Lip Butter in Cotton Candy to complete the look! It’s really simple and great for colour challenged girls like me to add a pop of colour to an everyday look. It doesn’t take much added time either! Fancy trying out the Clearasil PerfectaWash yourself? Stay tuned for giveaways in my upcoming posts! Cotton Candy looks great on you, and I love the FOA translucent powder :) The super fruit version of this wash sounds worthy of a sniff, I think my man would like this gadget on our counter as well! I like that subtle pop of purple hon. Looks great. Lovely makeup, I like that lipcolour on you! you look amazing! i love the lip butter color on you! pretty! You are beautiful my lovely! Such a fab look, I'm totally the same with my everyday work makeup. Definitely follow the 'less is more' route too. Love how you've smudged the liner with coloured shadow, gorguz!